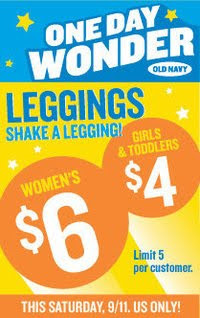 This Saturday, Sept. 11, Old Navy will be selling women’s leggings for just $6. Stock up, because you know you'll be wearing these all winter. There is a limit of 5 per customer!